Lynn – Welcome ladies & gentlemen to our monthly Cobra interview. Your hosts today are Lynn and Richard. 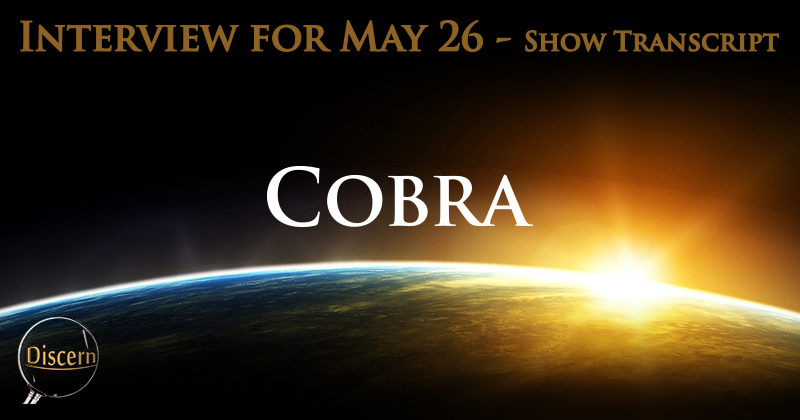 Our goal with these Cobra interviews as with our website is to inform, educate and prepare for coming events. Please remember that no one has all the answers all the time. Remember that your internal guidance is the key and always go with what resonates with that guidance. If you are new to our www.prepareforchange.net website and/or new to Cobra, you can get a more detailed description by listening to the August 2015 interview where more background on Cobra is given. The entire Prepare for Change.net team are all volunteers. No one receives compensation for their work. Our skilled volunteer I.T. team are adding new features to the website all the time to make your educational journey more informative and enjoyable. Please use the “donate” button at the right hand side of the web page. Your assistance greatly helps to cover re-curing monthly website bills. Now I would like to welcome back our Warrior of the Light and liaison with the Resistance Movement: Cobra! Welcome Cobra. COBRA – Thank you again for the invitation. Lynn – OK. Without further a due we’re going to jump right into the questions. Richard – Hello Cobra, this is Richard. I’m very happy to be here again. Cobra, can you estimate the percentage of planets that hold a physical 3D life form? COBRA – OK. 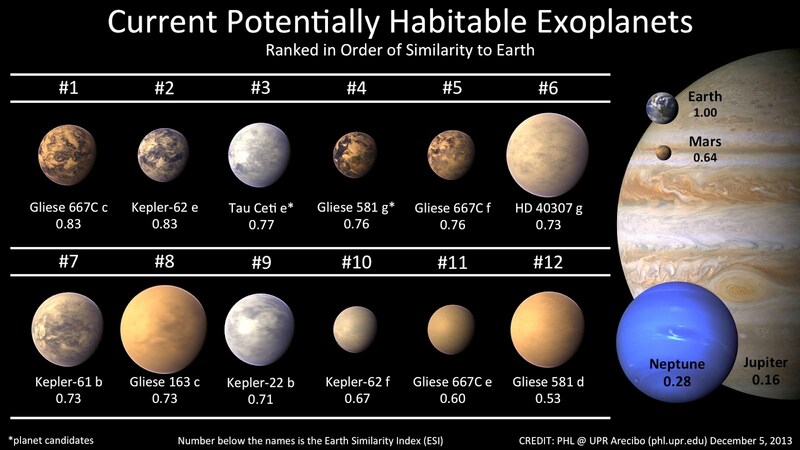 I would say maybe 10% of solar systems or 20% of solar systems in the galaxy have a planet that can support life forms. I’m not speaking about humanoid life form, but I’m speaking any type of life form. Lynn – Cobra, you have said that The Event will clear the primary anomaly resulting in an immediate shift for all incarnated beings and the Earth herself and initiating an Ascension Process. You have also said that until the network that supports them is completely disabled, our implants reset daily. So, is any primary anomaly being cleared when we experience darkness and consciously choose to forgive and to love it? Richard – Cobra, is it true that E.T.’s and underground civilizations come up to the surface populations periodically and present themselves as gods or Ascended Masters? I think it's an important point to note that intel similar to that which this question refers has come forward. I would agree with Cobra's answer, but would also point out that to my knowledge, no one has made the claim that those from Inner Earth are physically 'coming up to the surface'. According to what I have read from the Law of One texts, there have been both positive and negative E.T. groups who visited the Earth early on at the beginning of the most recent 25,000-year cycle, but this may have been before the quarantine took place. Before that time, the Ra beings behind the Law of One are said to have "walked among" us here on the surface. With regard to Inner Earth groups physically coming to the surface, I am not aware of any source claiming that this has happened (unless I missed some detail). According to the testimony of Corey Goode, there are times when some Inner Earth groups psychically contact those of us on the surface to communicate. When they do, they may sometimes appear as positive figures from a person's belief system so as to be well-received by the contactee, and as a measure of strategic security, according to Goode. However, to physically come up to the surface would be a violation of the last treaty that was signed between the various E.T. groups on their ability to influence humanity. By my understanding though, this treaty is being rewritten so that interaction between the surface and Inner Earth will not have negative consequences. This was covered in Cobra's recent interview with Rob Potter and Corey Goode. Lynn – How long ago did primary anomaly begin to be accumulated around the Earth? COBRA – OK, this process was happening through millions upon millions of years slowly but began to accelerate drastically 25K years ago. Lynn – Originally, did we all come here to assist with the task of the Earth’s transformation? COBRA – The Ascension process culminates in the actual Ascension. And the actual Ascension always means transcending all lower planes of creation. Physical, astral, mental. You can of course always then materialize those bodies as a hologram but you’re not in no way attached to them. You’re in no way attached to those planes any more after your Ascension process is complete. Richard – So after the Ascension process if we wanted to come back to earth we can just manifest a physical body and just leave it when we’re done. Richard – Can you describe how the transition we currently call death will change after The Event? COBRA – It will be much more conscious. Everybody will understand the process and they will know where they will be going and there will be no fear associated with that process. Lynn – Cobra, I was thinking about, as you were answering that last question, you know how sometimes people will be in a situation where like they are going to step off a curb and there’s an on-coming car and, you know, somebody will just appear and push them out of the way. Is this something like you were describing? Is it sort of like a physical manifestation that maybe a guardian angel or a guide is doing to protect that person. COBRA – Yes. Many times light forces can intervene in the situation for a fraction of a second especially when human lives need to be saved. It cannot happen every time and everywhere but it does happen sometimes under certain circumstances. Lynn – I’ve heard of situations like this and the person would be wanting to thank the individual who got them out of the way of an impending accident and they weren’t able to locate the person afterwards, so that’s why, you know, I even thought about this. So that makes sense, thank you. Can you describe if or how time is experienced on higher dimensional level or in the Universe? Richard – Cobra, does primary anomaly have anything to do with the 3rd density experience of time? Lynn – Recently you said that all of the other Universes had been integrated into this one. What do you mean by that? COBRA – It means that this universe has, actually there was an integration unification process to which the universes merged and through that merger higher consciousness, higher understanding and higher evolution of all those universes was achieved. Lynn – Are all the dimensional levels always present in creation. Richard – Are the Wing-makers the Central Race that you referenced in a recent interview? Lynn – After The Event, will there still be alien races at odds with one another? Lynn – So we’ll all live happily ever after. Richard – Can you offer any practical advice for the development of discernment? COBRA – You need to create a connection with your own higher self, with your own inner guidance and train that connection through the feed-back from our own life experience and integrating that higher guidance with your mind and with your emotions and with your body. This is one of my favorite questions (for obvious reasons). I would first like to point out the fact that the topic of discernment is not typically discussed in mainstream venues for one particular reason (among many). By my observations, this is because discernment is one of the main weapons we can use to dismantle the entire web of lies the cabal has weaved over the centuries. If we have eyes to truly see, there is no way to effectively deceive us, and the entire societal control system would be useless. Consequently, this topic of discernment seems to be avoided at all costs, much like any topic within alternative science (though this seems to be rapidly changing). If I had to describe the process of discernment, I might say that there were certain mental exercises one can do in order to accurately evaluate any subject or situation. However, the skill and ability go much farther than that. Through our experiences from early childhood into adulthood, on multiple levels, we develop a certain amount of distortion simply as a result of living in the matrix. It is only when we are able to see through these personal distortions to our own divine essence that our discernment becomes most accurate. In short, fearless exploration of self, of the world around us, and true and objective attention to one's own perceptions (and not simply the information itself) are good practices to adopt on one's way to learning discernment. I would agree with Cobra on his answer. Richard – You sort of get to feel weather it’s true or not, is that what you’re saying. COBRA – You don’t just feel if it’s true or not. You combine your intuitional guidance with what you know with what you feel and what you experience. (thank you very much). Lynn – Is it true that after The Event, 3rd density human vehicles will not age and die as they do now? Richard – Cobra do you have any comments on the Egyptair MS804 that “disappeared from radar” over the Mediterranean last week? COBRA – You have any specific question about that? Richard – No, just wondering if you have any knowledge if it really happened, is it true. Lynn – Cobra can you tell us what a ley line is? COBRA – A leyline is a stream of energy. In most cases etheric or plasma energy which flows like a river through the energy grid around the planet. Leylines are like energy veins that transmit energy through the energy body of the earth. Lynn – Are leylines and grid lines the same thing? Lynn – Can you tell us what the difference is? Cobra – Leylines in most cases are mostly etheric and plasma poles between two vortex points when the grid lines are also the same, in other context, for example the mantle or higher planes of creation and also the energy flow through grid lines are a little bit different. Lynn – So, when people are working on the earth, are they working on ley lines, grid lines or both? COBRA – Mostly they are working on ley lines. Lynn – OK. Are the ley lines related to the vortexes? Lynn – Where are the major intersections of the world’s ley lines? COBRA – There is a map that I could show you but I cannot describe it with words exact positions of all those intersections. Lynn – Is it possible in a future post of yours that you put up that map? COBRA – It might be possible. We will see what will happen. (OK). Lynn – Have major historical events happened along the lines? COBRA – I would not say the physical manifestation of those events but I would say the causes that triggered those events originated from the ley lines or from the vortexes which are located on the ley line intersections. Lynn – Are the ley lines related to anything in the cosmos? COBRA – Yes, of course there is a cosmic grid which goes throughout the universe. There is the galactic grid. 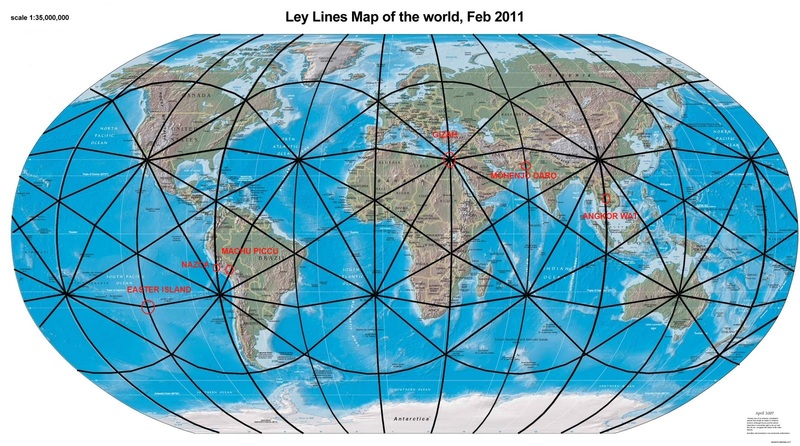 There is the grid in the solar system and they are all connected with the planetary grid and with the ley lines. It is a living organism of the universe. Lynn – OK. Thank you. Richard – What is a cycle in regards to a planet’s evolution? Richard – What determines a planet’s evolutionary cycle? Richard – Cobra what is an age. Lynn – Cobra, Is Hillary Clinton a clone? Lynn – Are there other people that could possibly be acting as clones? Richard – Cobra, Is Chelsea Clinton actually Bill and Hillary’s daughter? Lynn – Cobra, can you confirm that the recent disclosure by Benjamin Fulford about human trafficking of people and their organs is this true. COBRA – Yes, because I have also received same intel from some of the Russian contacts and unfortunately most of this is correct. Lynn – At this time, can something be done about this? COBRA – Yes, of course. What can be done is to inform and educate people about this because when there is enough consciousness about this it will be much easier to remove this and solve this. Eastern, that are involved and who are they? Richard – You have talked about people held hostage or being held as slaves on other planets in our solar system and in our universe. What progress has been made to freeing those hostages? COBRA – The situation in our solar system is much better. The number of those hostages is much lower but on the surface of the planet the whole surface population is taken hostage in 9-5 slavery jobs. It’s not as harsh existence for example the slaves in Roman times but still human beings are not free and now it’s time to liberate the planet. (beautiful, thank you). Lynn – I would like to remind everyone to meditate with us every Sunday at 7 PM GMT for our Weekly Event Meditation. This is something everyone can do to help bring about The Event as soon as possible. Lynn – Cobra, it is rumored that Angela Merkel is Hitler’s daughter…. Can you confirm this? COBRA – Yes, she is related to that particular entity. Lynn – Is Angela Merkel a clone or a reptilian or something else? COBRA – She is not a clone; she is a reptilian Draconian human hybrid incarnated in a human body. Lynn – Why is she in charge of Germany and can you tell us anything else about her? Richard – Cobra, what progress is being made with the refugees in Europe? Richard – Cobra, can the countries of refuge send them back home? Send the refugees back to where they came from. Lynn – Cobra, are you familiar with Biokinesis? Lynn – This is the power of the mind to change physical aspects like eye color, hair color or stature. People do this using a meditation process. The questioner was asking, she said it was done primarily in Brazil and she was wondering if this can cause any kind of problem. Richard – In our last interview you said Jesus thought the shift of consciousness would happen in his time 2000 years ago. What type of knowledge was he going to teach in order to bring that consciousness and awareness to the masses? 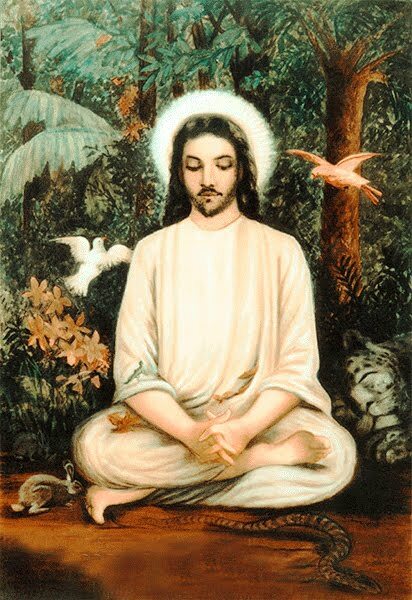 Lynn – Did Jesus meditate? Lynn – Did he teach certain meditation practices? COBRA – Yes to a selected group of his disciples. Lynn – Do you know any of the meditations or processes that he practiced and taught? Richard – Cobra, what qualities would a being on another planet be like with the same level of consciousness as humans? Without the primary anomaly without the negativity involved. Richard – So they on those planets don’t actually experience negativity the same way we do. COBRA – No. It’s quite an unusual occurrence to experience something that we are experiencing here. Lynn – Cobra, do other species on other planets who are capable of understanding genetics and creating new life bring life to Earth? COBRA – Yes, very advanced species were creating life forms and also planet Earth was one focal point of their experiment. (thank you). Richard – Cobra, can you please explain how dimensions work? How many dimensions are there? How is consciousness is related to dimensions? As I understand it, the general, cimatic principle is that the higher the frequency, the greater the complexity of the geometry it forms. This is why higher frequency is correlated with higher "density". COBRA – Dimension are just playground for they are just spaces of expression, possible ways how consciousness or source can manifest. They are not… the evolution of spirit is not defined by dimensions. It is defined by level of integration with the Source and this level of integration can manifest in any dimension. (thank you). Richard – Another question – Can you give a general idea of how the spirit evolution works? What a being, how does it start off and what are you capable of when it reasons the level of source? Lynn – Are there or have there ever been human healers on earth that can cure any disease, physical disfigurements or even grow limbs back? Richard – Is it true that Jesus was able to heal? Richard – So he didn’t actually have this ability when he came here. He learned it through his life time? Richard – Is it possible for regular humans to heal the way he did? Richard – By any chance do you know the practice or where we can find that practice so we can learn to heal the way he did? Lynn – What is the meaning and purpose of yoga? COBRA – The meaning and purpose of Yoga is Union with the Source. Lynn – How long has Yoga been practiced on Earth? Lynn – Can you take a guess at how many possible different forms of Yoga there are. Richard – Is it possible for humans to bring life back to an expired animal? COBRA – It is possible. It’s not very easy but it is possible. Richard – How is this possible? Lynn – Cobra, are you familiar with Parama Shiva yoga? Richard – Cobra, when working with an ascended being, how would they communicate with you? COBRA – They would communicate with you in a way that you would be able to understand. So in many cases they communicate through inner vision, through telepathic communication and sometimes they materialize a body looks like a physical body and you can hear them and see them and perceive with your physical senses. Lynn – What are humans and the planet Earth like before the anomaly or darkness came to Earth? Richard – Cobra, do highly evolve beings/super-evolved beings create universes and the laws of the universe? Lynn – Are you familiar with Quantum tunneling? Richard – Cobra who is Shiva? And what is that being’s connection to this universe? COBRA – Shiva is one of the creator, I would say creator entities that was present when this solar system was created and certain aspects of this galaxy were created. And the purpose of that entity was to create certain aspects of creation, learn through that creation and then dissolve that creation back into the source. Lynn – Cobra, this is a broad question but the asker is asking if you could explain this to the best of your knowledge; What is the ‘True Nature of GOD’S PLAN’ for humanity? Richard – Cobra, will you explain the origin and purpose and importance of the Laws of Karma? COBRA – I have answered this question many times. The law of Karma is an artificial construct which was created by the Archons to control and enslave spiritually control and enslave beings, entities in this quarantine status and usually explanation of Law of Karma is if you have done something you have consequences one way or the other. It is a distorted interpretation of the law of manifestation. Of course your actions have consequences but it is not true that we are now experiencing certain bad things because we have done something in one of our past lifetimes. We are experiencing bad things because this planet is occupied and somebody is doing those bad things and we have to resist. And we have to liberate the planet so those things will not happen anymore. (very well said, thank you so much for that). Lynn – I would like to interject here. We desire for you to join our Prepare for Change family by going to http://prepareforchange.net/participate/create-join-a-group/. Also if you go toCoeo.cc where you can find a local group of Prepare for Change or you can start a local group. Once you do this you will enjoy meeting with like-minded people in your own area. Lynn – Cobra The time we are currently living in, is it just the end of a ‘cycle’ or is it the time of a total reset of the entire universe? Richard – Cobra, what is Magic? Lynn – Cobra, what is Witchcraft? Richard – So Cobra, what is Sorcery? And what are the differences between magic and sorcery? Lynn – Cobra, can you tell us the differences between Chemistry and Alchemy? Richard – Cobra, what is a CLAIRSENTIENCE? COBRA – Clairsentience is an ability to feel sound and transmit information on the higher plane than the physical plane. Metaphysical Senses: What is Clairsentience? Richard – Is that a form of telepathy? COBRA – It is in telepathy but telepathy is just mental transmission and Clairsentience is much more than that. It is an ability to transmit sound and other forms of signals that are not just mental images or mental transmission. It is much more. Richard – I understand. I had an experience once when I was in a room and it was just a normal room and all of a sudden I smelled the scent of roses. Could that be Clairsentience. Lynn – Is there a difference between Clairsentience and clairaudience Cobra? Richard – What is a CLAIRVOYANCE? COBRA – Clairvoyance is the ability to see on the nonphysical planes. Lynn – Cobra, could you define Hypnotism? COBRA – Hypnotism is a practice of using human subconsciousness and talking with human subconsciousness when the conscious aspect of the self is not fully present or awake. Richard – Is this a positive or a negative. Lynn – Would you describe what the Physical Plane is? Richard – Cobra, can you describe what the Astral and the Etheric Plane are and how are they used? COBRA – The etheric plane is the energy plane. It is the where sensitive people feel all those energies, they feel the etheric plane. It is the plane of our Chakra’s, our Nadis, our energy field. The astral pane is the plane of our emotions, our emotional body and this is the plane that you usually visit when we are asleep in our dreams. Lynn – What is the Causal Plane? Richard – Cobra will you now describe for us the Mental Plane? Richard – I also know there is a calm where your imagination is formed or your thoughts where you do your manifestation. Lynn – What is the ‘Sat Nam’ Plane and will you describe it for us? Richard – Cobra what are the Biochemical Codes for the Ages of Time? Lynn – Iron is an important element in our blood currently. Will this change when we advance to the golden age? COBRA – This will change when we reach a certain level of vibrational frequency but we’re not there yet. Lynn – What is the Inter-Galactic Council or IGC and what is their specific duties? Richard – Cobra will you define the meaning and the purpose of the ‘Prime Directive’? COBRA – Again the prime directive as it was understood on this planet is not something that is actually happening. The non-interference concept that was introduced by the Archons to excuse the censorship that we have about the first contact. There are the races would like to contact us. 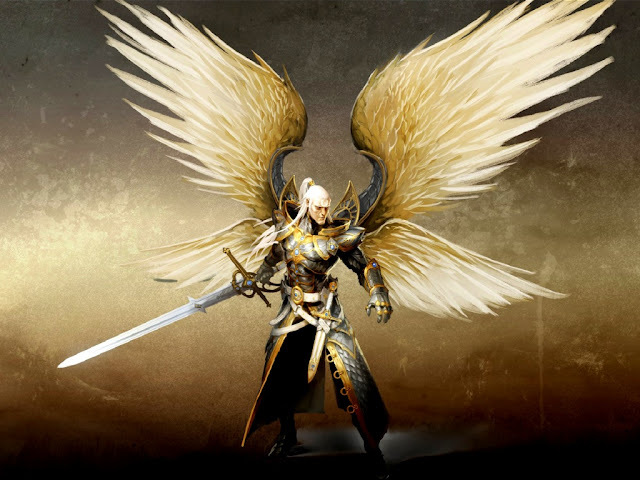 Many positive races would like to contact us and the reason why they are not contacting is not because they would not respect our free will but because the Archons and the Chimera group are preventing them from contacting us. Because our free will is for first contact and not against us. Lynn – This question is sort of related; this questioner is asking: What is the IGC ENFORCEMENT and why don’t they act to stop the interference with the Earth human evolution and all the free will violations that are currently going on? COBRA – Yes, of course, I have answered this question so many times. The hostage situation is the real answer. The Chimera group is taking humanity hostage with their toplet bombs at the moment. They need to be removed and then the contact will happen. Richard – Cobra, this listener says; Why are there so many people sick all the time. I feel sick for a few days get better and a week later the same thing will come back. This has been going on for a couple of years. I’ve been to doctors. I’ve been on many rounds of antibiotics and never get better. I exercise and eat healthy. The freaky thing is lots of people are saying the same thing is happening to them too. Lynn – This questioner is asking: I am wondering with Cobras vast knowledge if he could know if the cannabis (or marijuana) plant is native to earth, or was it introduced here from another planet? COBRA – It was introduced here a long time ago from somewhere else. Lynn – If perhaps other plants are introduced also like perhaps Aloe Vera which also has great medicinal value. Was this also from somewhere else. I actually appreciate this question, as well as the answer from Cobra. It seems that even as old and outdated as most fear mongering is, there are still those who chose to hold onto the fear it has produced. It is in all of our ability to transcend fear and suffering. The choice remains with us of whether we want to have an experience of suffering and pain, or one of prosperity and abundance. If we truly want to have an experience of suffering (and there are those who do), then we well have the opportunity to have that experience in full. If we do not want this experience, it is our task to get rid of such fear, and to focus upon that which we want, as opposed to always looking for, and worrying about that which we don't want. As mature adults and as divine souls, we have every ability to choose the future which best suits us. As we do, it is important to have confidence in our choice and in our creative ability. Lynn – Cobra can you offer any comments regarding orgonite? Many of us create and “gift” orgonite in the form of tower busters in order to protect our communities from EMF attack. Aside from cell towers, can you advise where our orgonite would be most effective? Lynn – There are many people that are placing these orgonite around those, so that’s really good. Lynn – Is there anything else you can think of that orgonite would be good for or how it could be used?